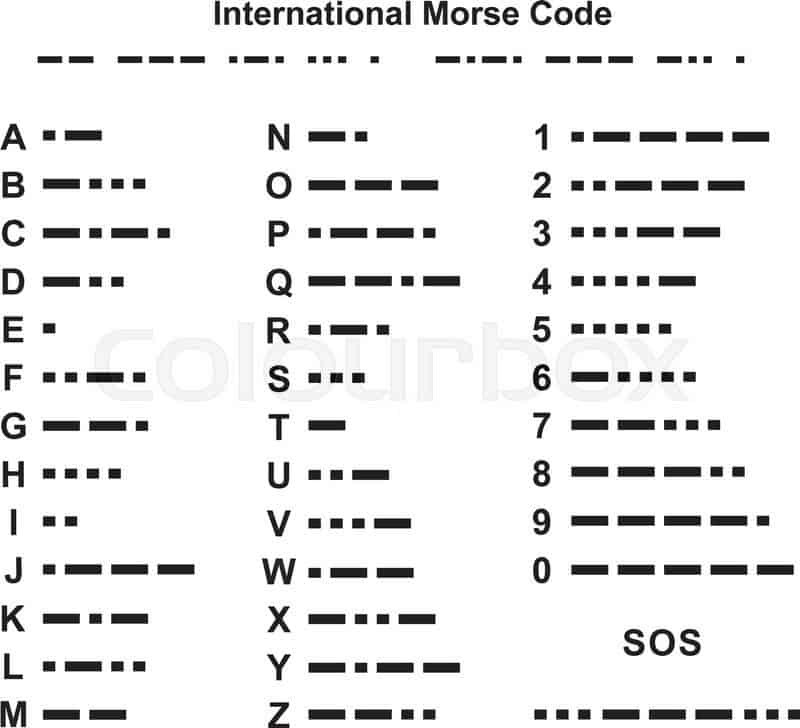 Morse Code was created in 1836 by Samuel F. B. Morse, alongside Joseph Henry and Alfred Vali. It started out as an electrical telegraph system before becoming the diverse language it is today. 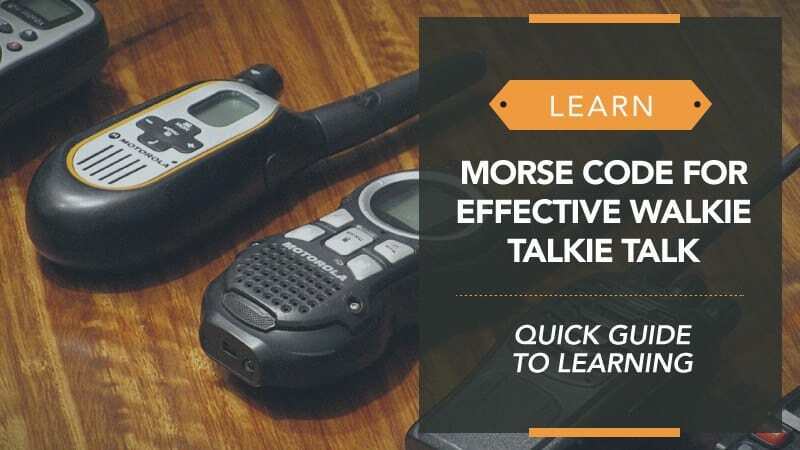 If you use or own a walkie talkie, it is a good idea to learn Morse Code because it can be an incredibly beneficial thing to know. So, if you want a quick guide to learning Morse Code, as well as some of the great advantages that come with it, make sure you keep reading. Morse Code is defined as an informal language, and one that can be communicated using a series of clicks, light signals, or on/off tones. It makes use of the basic Latin alphabet as well as Arabic numerals, and a set of procedural signals and punctuation. It is a language that can only be understood by an observer or listener that knows it, and the signals themselves are often referred to as dots and dashes. Despite all of this, it is not as difficult to learn as you might think, and even today it is still an incredibly active and well-used language. What Do Walkie Talkie Phrases Mean? There are a few main phrases that are used when people are communicating via walkie talkie, and in this section, we plan to go over all of them to explain what they mean and the situations that they are used in. Over: whenever you finish speaking, you should always end with “over” as this lets the person on the other end know that it is their turn and they are able to respond. When you have finished a conversation completely and are turning the walkie off, or on the move, you finish with “over and out”. If you do not hear a response on the other end, you should repeat yourself a few times. Roger: this is a way of letting the person on the other end know that you have received and understood their message. It can also be said as “roger that”. Copy: this is the same as “roger” in that it is a form of acknowledgement for the person on the other end of the walkie system. Wilco: put simply, this is a shortened and combined version of the words “will comply”. While it can be said alone, it is most commonly accompanied by “roger” to show both understanding and to let the other person know that you will carry everything out. So, it should come out as “roger wilco”. There are loads of different ways for you to learn Morse Code, so you won’t be short of resources when you decide to get your head down and perfect the language. In this section, we take you through some of the different ways you can learn, as well as show you the Morse Code alphabet to give you a head start. There are still loads of books on Morse Code and how to learn it, so if you fancy the classic route, you can pick up a great guide from your local library, or even buy one in a bookshop or off the internet. Learning Morse Code form books is still an effective way to learn, but if it isn’t quite your style, don’t worry, it’s not the only way. There is also an abundance of online video tutorials that can show you Morse Code – perfect for visual learners. You can also download a range of apps for your mobile device so that you can continue to learn regardless of where you are. These are definitely some of the most accessible forms of learning Morse Code. If you are really lucky, you may also find some local classes where enthusiasts get together to practice together. Sadly, these are not particularly popular nowadays, but it is still worth searching for one (or starting your own) if you want people to actively communicate with using it. As with anything, the key to perfecting the language is a lot of practice. You might have a hard time remembering all the combinations at first, but the more you practice with your walkie talkie, the better. Plus, there are loads of videos that you can practice along with. Morse Code is great for walkie talkie communication because it provides a level of encryption so that if others are tuning into your frequency, they are less likely to be able to understand what you are talking about. Due to this, it adds a great level of fun to your conversations, and makes the walkies a little more worthwhile. There have been a number of cases where people using walkie talkies have found themselves receiving communications from things like ham radios with a message in Morse Code, but because they do not know the language they are unable to translate it. If you take the time to learn, you could record and decode the messages if you find yourself on a transmitting frequency. Above all, it is just a good skill to have, and one that could help you out in a number of situations – especially emergencies if you learn Morse Code for SOS. Having at least a basic knowledge of the language when you are using your walkie talkie is a great way of staying safe and having some quick communication tools ready if they are needed. It’s amazing just how useful Morse Code can be, and we hope that this guide has helped you to learn more about it, as well as the ways you can use it. We would love to hear how you are getting on with your Morse Code journey, so let us know about it in the comments below, as well as if you found this guide helpful.